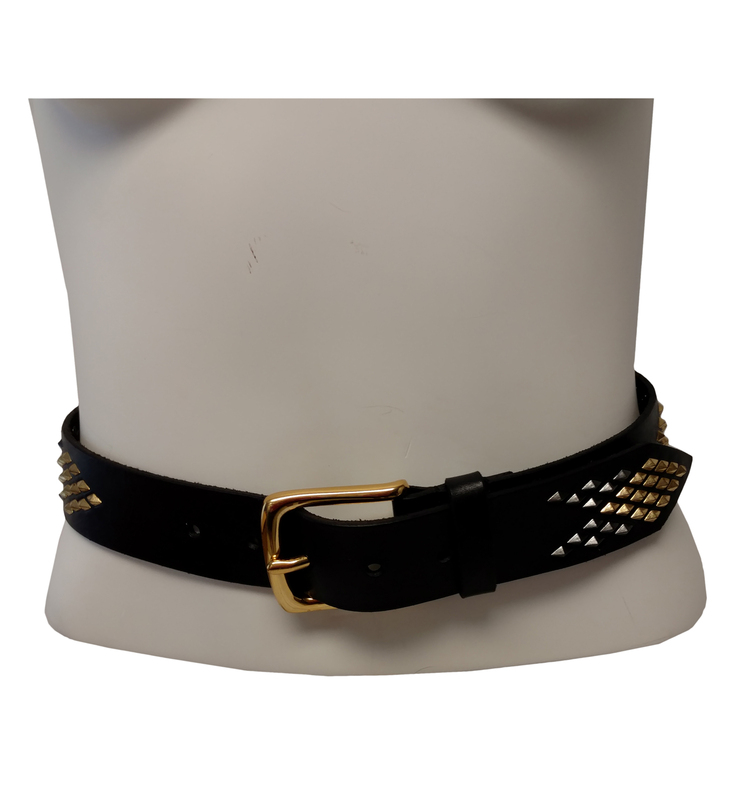 Ladies WCM New York brand studded detail belt. 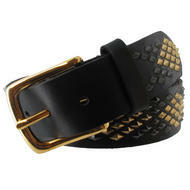 Made of genuine high quality leather. 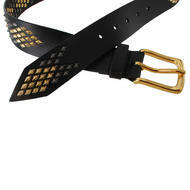 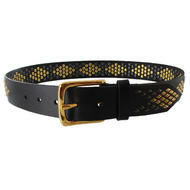 Belt features two tone gunmetal and gold tone diamond flat studs. Gold tone polished buckle. 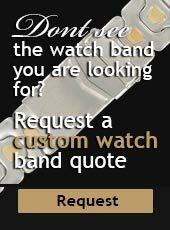 Looks great with jeans!